The Province of Québec knows how to do winter better than just about any place in North America. A typical ski vacation can become the trip of a lifetime with festivals, food and tons of outdoor fun. Here are a few of the ways you can create unforgettable snow-filled memories in the Québec region. National Geographic named the town of Mont-Tremblant, about two hours northwest of Montréal-Pierre Elliott Trudeau International Airport, one of the World's 25 Best Ski Towns. As you make your way up one of the 14 ski lifts to almost 3,000 feet, you can breathe in the crisp, crystalline winter air and take in the surrounding snow-covered landscapes before whisking your way down one of 96 trails. Book a room at Fairmont Tremblant, the town's only ski-in, ski-out lodge, where you can experience the slopes in a new light with the First Tracks program. You head to the ski mountain a half hour before it opens to catch the first morning light reflecting on the night's new snow before twisting your way through the fresh powder, making the first tracks of the day on the North Side. Your concierge can help you make all the arrangements for your unforgettable sunrise ski. For a bespoke ski vacation, book F-scape To Fairmont Tremblant Winter Package. 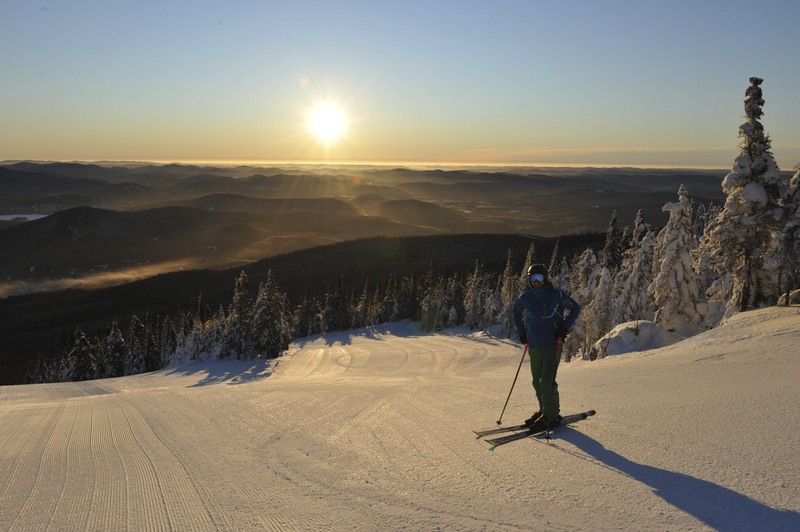 This package is the perfect way for a true discovery of Tremblant unique spirit as your personal ski guide shows you the best of this spectacular winter wonderland, giving you VIP access to all ski lifts. With no waiting in line, you spend more time on the slopes and less time standing around. The hotel's ski valet prepares your skis each morning before you take off and tucks them safely away before you head to your room. After a day on the slopes, say goodbye to your guide and hello to a magical evening at Fairmont Tremblant. A cozy table by the fireplace in Windigo, the hotel's gourmet restaurant, features the best of Canada's foods, from grilled salmon or homemade pappardelle to short ribs or duck breast. A perfect ending is at Nansen Lounge, overlooking the town village and ski slopes. The delectable mix of coffee, Frangelico and Bailey's, served fireside with a white flurry gently falling outside the window, is the making of storybook memories. 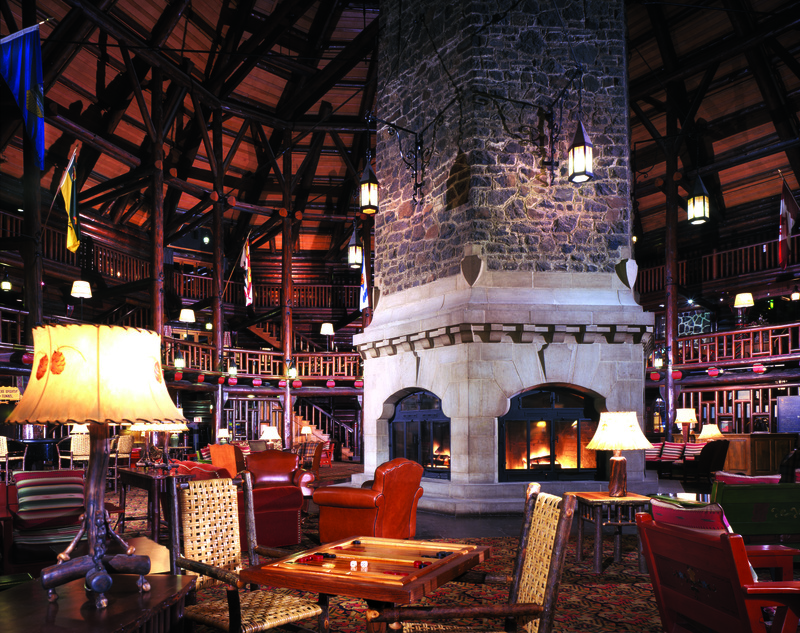 Situated on the banks of the Ottawa River about 90 minutes east of Montréal, Fairmont Le Château Montebello is the world's largest log cabin and a true winter playground. Built as a private club in 1930, Montebello is the perfect retreat for those who want to experience winter off the slopes. Slip on a pair of cross-country skis or snowshoes and take to the resort's pristine trails. Your concierge can arrange a private ice fishing expedition on the frozen river or perhaps a sleigh ride for two or the entire family. For a uniquely Canadian experience, try on-site curling. Have a need for speed? Power your way over brilliant white fields and through snow-topped wooded areas on snowmobiles. After an active day playing outside, take a dip in Canada's largest indoor pool at Montebello. When it's time to relax for the evening, there is no better place to relive the day's exploits than tucked in front of the six-sided fireplace of the lobby bar with hot chocolate in hand. Cozy up by the fireplace after a day spent enjoying the great outdoors! One of the province's most unique experiences is the Challenger Owners Association Winter Rendezvous attracting nearly 100 ski planes. It is quite the sight to behold as the planes land on the frozen Ottawa River in front of Montebello. The massive St. Lawrence River bustles with activity. You can ice canoe on the ice-laden water, go snowshoeing along the banks, try your hand at dog sledding or pull on skates to cut figure eights. 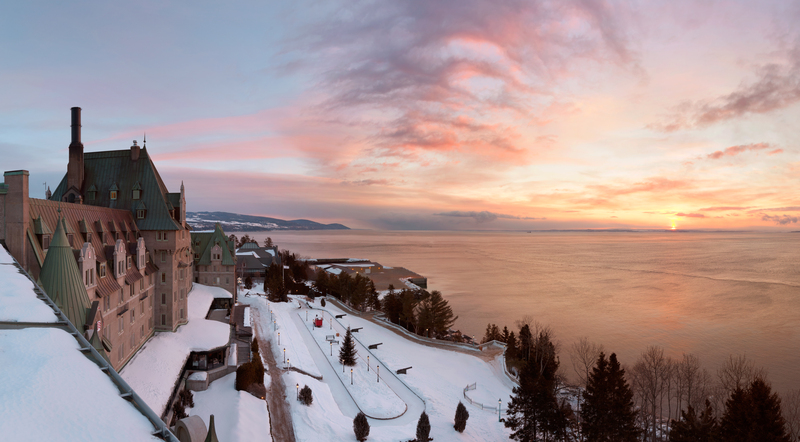 Québec City is host to the world's largest Winter Carnival in late January and early February. The two-week event includes parades, outdoor concerts, an ice palace, snow sculptures, dog sledding and hours of fun for the entire family in an outdoor playground. During your stay in Québec, save time for a traditional Quebecois winter favorite with a visit to a sugar shack. At le Chemin du Roy you can watch the locals tap trees for maple syrup. If you time your visit right, you might even have a chance to pour the syrup on the snow and eat it like taffy. After celebrating in the city, head north two hours along the river to Charlevoix and the Mont Grand-Fonds snow park. The 14 downhill trails, as well as areas for cross-country skiing through the meadows and woods, snowshoeing and sledding, are ideal for beginners and experts alike. The luxurious Fairmont Le Manoir Richelieu, about 10 miles from the slopes, offers a shuttle each day to the park. For unforgettable thrills in Charlevoix, you can ski the highest vertical drop in Eastern Canada at Le Massif. From nearly 2,500 feet up, the powder runs offer breathtaking views of the St. Lawrence River. Prefer to head into the backcountry? Book a catskiing package, where a ski pro transports you to where only snowcats can go and guides you off-piste back down Mont-Liguori. No trip to Le Massif is complete without a trek down the sled run. The only one of its kind in North America, the nearly five-mile run down Mont-Liguori is a two-hour thrill. After your certified guide leads you through a trial run on the bunny slopes, you climb into a snowcat at Summit Chalet for a ride to the trailhead reserved for sledding. The concierge at Richelieu can help you reserve your unique Charlevoix experience. 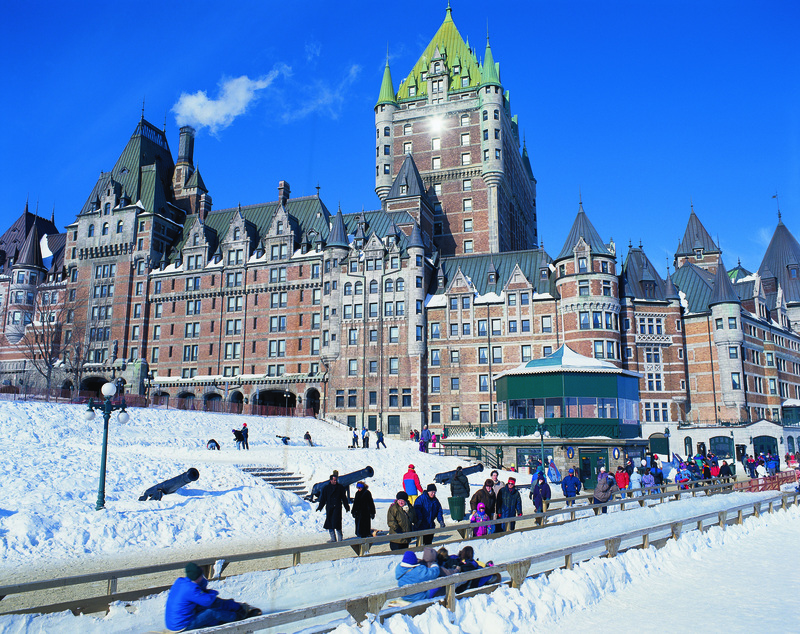 The Quebec region is a winter paradise that has something for everyone. Whether you prefer to hit the slopes, glide peacefully through the backcountry, hop on a snowmobile, slice across the ice on skates, cuddle up in a sleigh or sit by a roaring fire with drink in hand, you can create a memorable vacation in this breathtakingly beautiful Eastern Canadian destination.